The successful applicants will be required to work shift work. Shifts are 6pm to midnight. The purpose of the positions are to provide support and safety services to young people engaging in risk behaviours in a public setting. *Applicants must possess required qualifications and/or commensurate prior experience; licences including a current ‘C’ class Drivers licence; and be eligible to obtain a Working with Children Blue Card. The incumbent will be responsible for providing coordinated therapeutic and cultural services for young Aboriginal and Torres Strait Islander people within the Dhaderrhi: Youth Substance Misuse Treatment Service. This will be achieved through establishing programs, service responses and collaborative partnerships to assist young people with substance abuse problems through outreach work; community education; diversionary activities; and case management. Darumbal Community Youth Service will this afternoon farewell one it’s most valuable and dedicated workers; Mr Lionel Harbin. We would like to invite those who have worked with Lionel over the 6 (nearly 7) years to come and join us today at 3pm at the DCYSI office (79b Bolsover Street) for a light afternoon tea. Darumbal Community Youth Services Inc. is seeking a Family Support Worker within the Eaglehawk Family Support Program. The position is full time and requires applicants who can work with families to provide a range of early intervention and prevention services for predominantly Aboriginal and Torres Strait Islander families within the local government and Capricorn Coast areas. Applicants need strong communication skills, the ability to work with diverse groups, demonstrated ability in case management, collecting data and working within a team environment. Applicants need to possess a Suitability Notice for working with Children and Young People (Blue Card) and a current Drivers Licence. To apply for this position, please contact Darumbal Community Youth Services Inc. Administration staff on 0749 226180 or email to admin@darumbal.org.au to obtain a copy of the Information Package, which contains the Selection Criteria. Applications must include a cover letter, current resume and address the Selection Criteria, and are to be submitted by COB Tuesday 25th February 2014. Aboriginal and Torres Straight Islander people are encouraged to apply. Darumbal Community Youth Service Inc (DCYSI) provides holistic support services to young people and families throughout the Central Queensland Region. The forefront of our service delivery is to assist the most disadvantaged and vulnerable in our communities based upon the principles of caring and sharing; providing a range of youth and family services; social inclusion services; assist growth and mutual responsibility; and enhance engagement with the wider community through community development. Darumbal Community Youth Service Inc currently has three positions available within the organisation: Administration Officer, Community Engagement Officer within the PACE program and Acting Senior Support Worker within the Addressing Volatile Substance Misuse Program. DCYSI would like to clarify that funding for the Acting Senior Support Worker position within the Addressing Volatile Substance Misuse program is available until June 30, 2014 and in accordance with current contractual arrangements. The Administration Officer within Darumbal Community Youth Service Inc is the first point of contact for service, and is responsible for responding to all phone calls and in person enquiries. This role includes receptionist duties, such as that mentioned, as well as other duties as required; including support of the CEO with HR related tasks. The incumbent is responsible for a range of financial and administrative tasks, which contribute to the management of the organisations day to day operations. This position is responsible for working with parents and carers throughout the Rockhampton region, to support improved educational outcomes for Aboriginal and Torres Strait children. To do so, the incumbent is required to collaborate effectively with schools and education providers, as well as community-controlled organisations and other agencies such as local and national non-government organisations, and government departments. This role requires responsible management of the program and for the incumbent to collect, record and report on data and services. This contract includes the lease of a vehicle for work purposes. The incumbent is responsible for coordinating staff and services within the Volatile Substance Misuse (VSM) Program. This is achieved through establishing programs, service responses and collaborative partnerships to assist young people with substance abuse problems through outreach work; community education; diversionary activities and case management. It also involves working with other agencies. Are you interested in Indigenous youth issues and want to be involved in your local community? Why not become a member of Darumbal Community Youth Services Inc.
For only $5.50 for annual membership you can be a part of our Management Committee, Sub Committees, provide feedback and ideas, promote DCYSI and youth issues in the local area and support our young people. Contact the office for more information on 4922 6180 or download the attached membership form. The Management Committee of Darumbal Community Youth Service Inc. are pleased to announce the appointment of their new Cheif Executive Officer, Mrs Nyoka Fetoa’i. Nyoka commenced as the Acting CEO in May 2013 and has continued to lead DCYSI forward bringing new vitality and vision to the service. She has gained extensive experience across all aspects of the organisation and is committed to strong governance, quality management, service delivery, and financial management. She is looking forward to lead the organisation by working with cooperative members, government stakeholders, the community services sector, staff and the Management Committee of DCYSI in our next phase of consolidation and growth. PaCE Coordinator at Darumbal Community Youth Services Inc.
Parents and carers of Aboriginal and Torres Strait Islander students and young people (up to 19 years of age) can seek greater involvement in their child’s schooling through the Parental and Community Engagement (PaCE) program. The Parental and Community Engagement (PaCE) program is a community-driven program for parents and carers of Aboriginal and Torres Strait Islander students and young people (up to 19 years of age). •supporting them to help children and young people to learn at home. If you have any inquires or concerns about your child/s development at school. please do not hesitate to contact me. 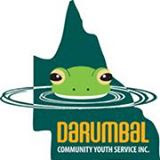 Darumbal Community Youth Service Inc (“Darumbal”) is a not for profit organisation based in Rockhampton. It provides a range of programs and services for young people and families. A CEO is required to manage and lead the organisation and work with the elected Darumbal Management Committee. Applicants must have previous experience in working with young people; families; Aboriginal and Torres Strait Islander people and communities and possess a high level of expertise and knowledge in human resource management, information technology, financial management, working with other government and non-government organisations and reporting and compliance against funding and performance measures. Applicants must either possess or be able to obtain a Suitability Notice for working with children and young people and hold a current Drivers Licence. A salary package is available and includes salary sacrifice. For further information, please contact 0427212701 or visit our website at www.darumbal.org.au to obtain the selection package including the selection criteria for this position. Applicants are required to respond to the selection criteria and provide contacts for 3 referees including one from either an Aboriginal and/or Torres Strait Islander organisation or individual who can attest to your ability to work with Aboriginal and Torres Strait Islander people and community. Applications should be emailed to marina@denley.com.au and applications close on the 20/9/13.